Since I live close to both my parents and my in-laws, I have never had to cook my own turkey. To be honest, I am a little bit intimidated of trying to cook a huge turkey. 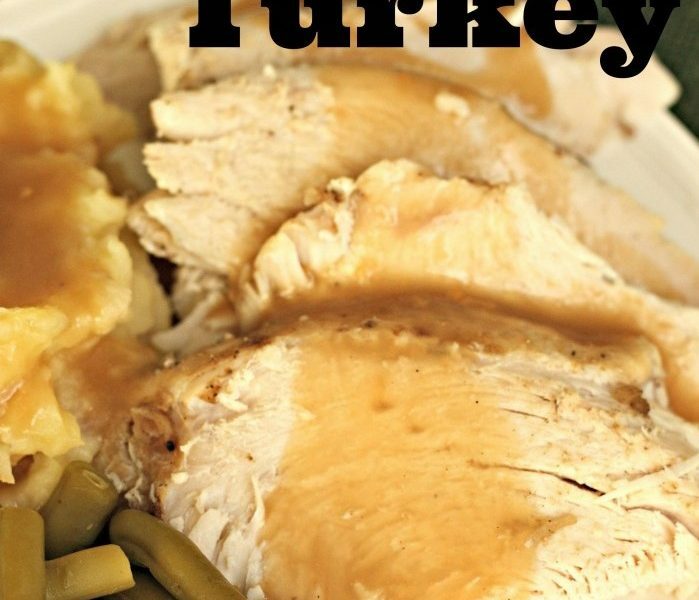 Spray slow cooker with nonstick cooking spray and place turkey and diced onions inside. In a small bowl, mix together the water and onion soup mix and spread evenly over turkey. In another small bowl, mix together remaining ingredients and sprinkle over the turkey breast. Cook on low for 8-9 hours (or until turkey is very tender and the seasonings have flavored the meat). Insert a meat thermometer into the thickest part of the breast and make sure it reads at least 165 degrees F (75 degrees C) to ensure that your turkey is fully-cooked.